Classes for customers in your store: “How a Piano Works”. Cy is happy to tailor the “How a Piano Works” presentation for a school or other civic group; children particularly enjoy it. 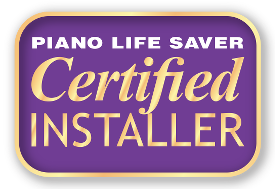 Seller and Certified Installer of Piano Life Saver humidity control systems by Dampp-Chaser Corporation. To play quietly, PianoDisc and QRS electronic players need regular calibration to compensate for the changing friction on each note, and the software should be updated regularly. I can also install a large variety of add-ons for these systems: a record strip, to allow you to save and play back your own performances; a stop rail and sound module, so you can practice silently; or a DVD synchronization unit, so that music videos show on your TV while the performer plays your own piano. Provider of tuning, repair, and warranty services for dealers of Steinway, Boston, Mason & Hamlin, Estonia, Kohler & Campbell, Petrof, Nordiska, Kawai, Yamaha, Young Chang, Samick, Hallet & Davis, Perzina, Ritmüller, and Pearl River pianos, including: Kitt Fine Pianos: Cottonwood Mall, Legacy Piano, Piano Source, Wholesale Piano and Charles Piano in Albuquerque, NM;Showtime Music in Beckley, WV; CONNcert Music World in Bluefield, WV; Petit Music and Schmitt Music in Rochester, MN. Piano technician for Southwest Virginia Community College’s 2005 Festival of the Arts concert series. Cy Shuster is a professional piano technician serving northern New Mexico. As a graduate of the Piano Technology program at the famed North Bennet Street School, Cy is fully qualified in not only the highest standards of tuning, but also in repairs, regulation, voicing, and appraisals. Albuquerque Public Schools has approved him as a volunteer, having passed their background checks. 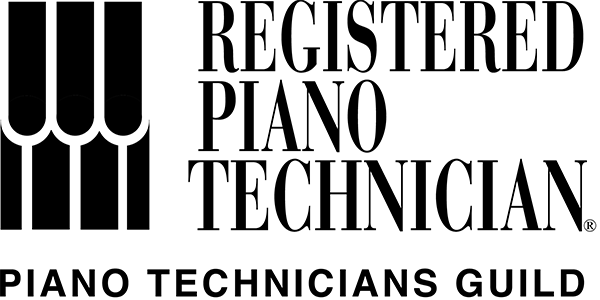 Cy is one of only about 2,500 technicians in the U.S. who has earned the title of Registered Piano Technician (RPT) by passing a series of rigorous examinations on the maintenance, repair, and tuning of pianos. 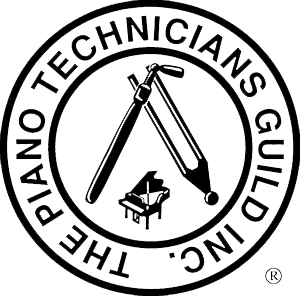 Only RPTs are authorized by The Piano Technicians Guild to display the logo containing the words “Registered Piano Technician”. I will render the best possible service under the circumstances, always keeping the best interests of my client in mind. I will use the name and trademarks of the Piano Technicians Guild properly and will encourage others to do the same. I will strive to upgrade my professional skills and I will encourage and help others to do the same.